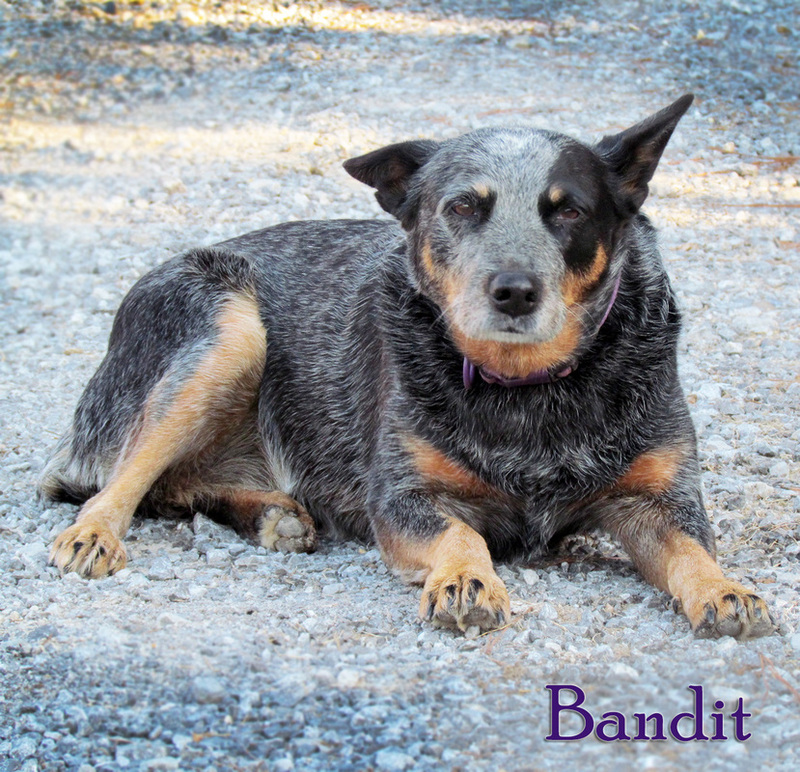 The grand-dame matriarch and eldest of the group is Bandit, a sleek coated Australian Blue Heeler. She mysteriously showed up at our house in the middle of a cold February night in 2004 as a puppy. 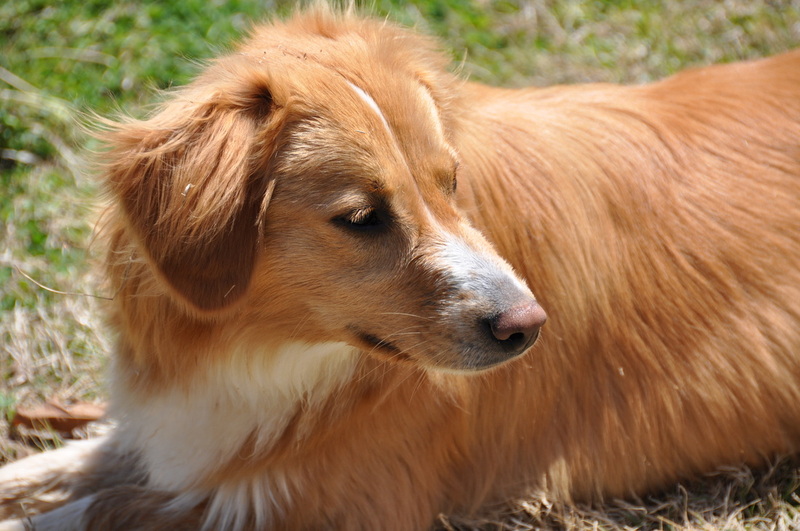 A bit neurotic but the most loyal of any dog, she has mellowed into older age. She wears a patch over one eye and still has a tendency to take things if you aren’t looking. We jokeingly say that Moose came with our house! He was a young adult stray when we moved into the house in 2009. He was NOT a good dog as a juvenile. 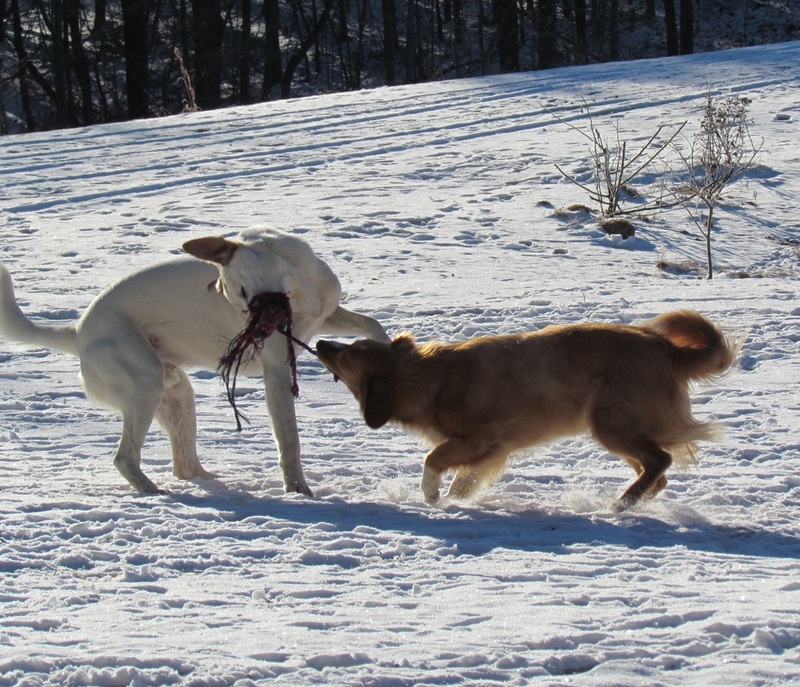 He was a total delinquent dragging our doormats into the woods and anything else he could get his teeth around. But he was the best dog for any visiting children to play with or to greet anyone with a happy grin and wagging tail. We made it through his “teenage” years, and he has more than made up for it. He finally earned the title of "great dog". 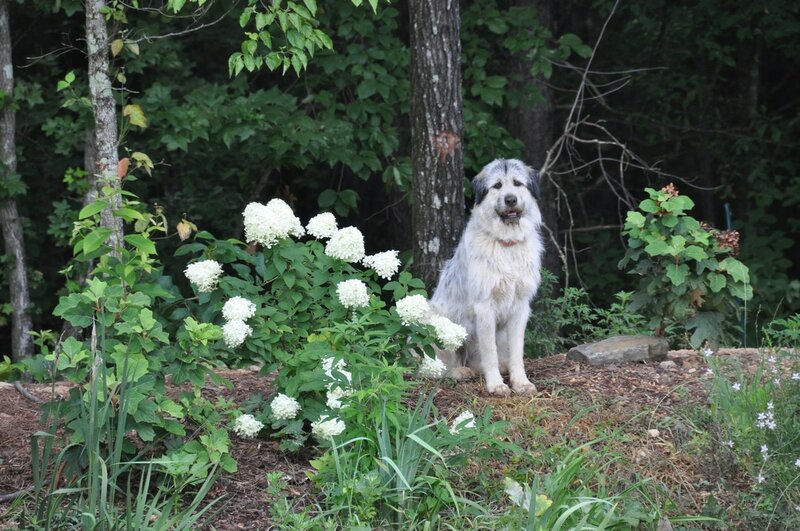 Korie is the diva of the group and remains an active puppy at heart. Her hobbies include digging mice out of burrows, giving squirrels the evil eye, and swimming in the pond. When she’s not prowling for vermin, she plays hard and then comes in to lick toes. Pepper is one BIG puppy. 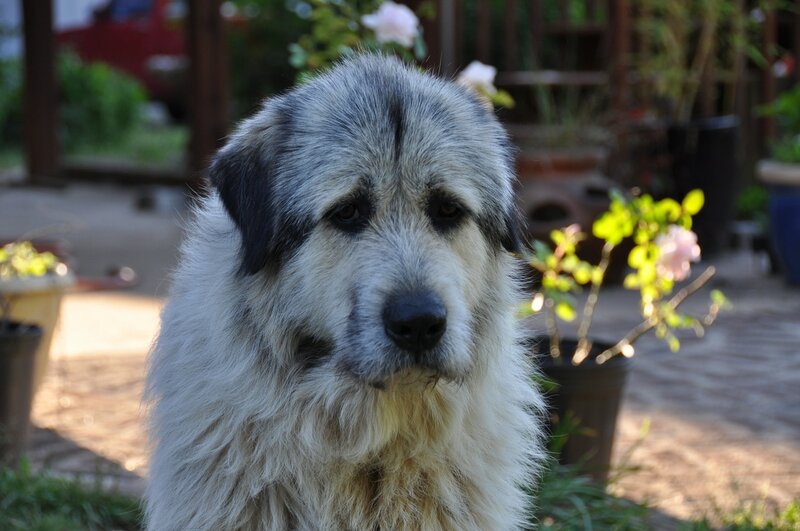 A spring baby (2015), she is a Livestock Guardian Dog (LGD) mix of Pyrenese, Anatolian Shepherd, and 1/8 Old English Sheepdog. 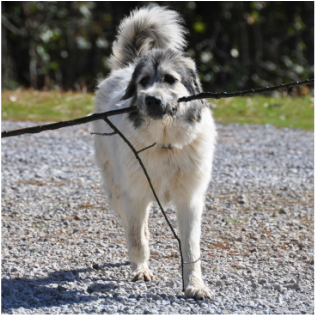 Quirky, comical personality and already showing signs of taking her job of protecting the livestock from predation seriously when she isn't goofing off dragging sticks out of the pond.